Bamboo is a widely used natural building material in many Asian countries. In this project, we tried to explore more possibilities of using bamboo itself as building material. We found that the negative space and joints inside the bamboo most interesting and that led us to do experiments concerning the joinery method and structure of bamboo. Our bamboo building units, named as JOOC, enable people to build and demount any form of bamboo devices applying the interlocking joinery method. The form and structure of the device are variable and cater to different functions. For example, making it into a JOOC Hut, JOOC table or beach chair. 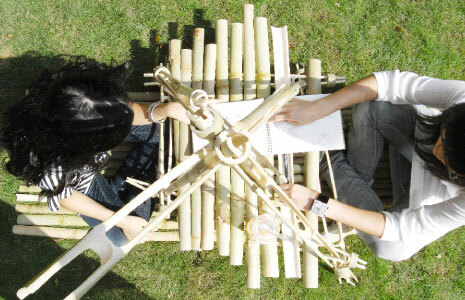 For further development, we hope to build larger scale bamboo structure to explore more possibilities of JOOC.